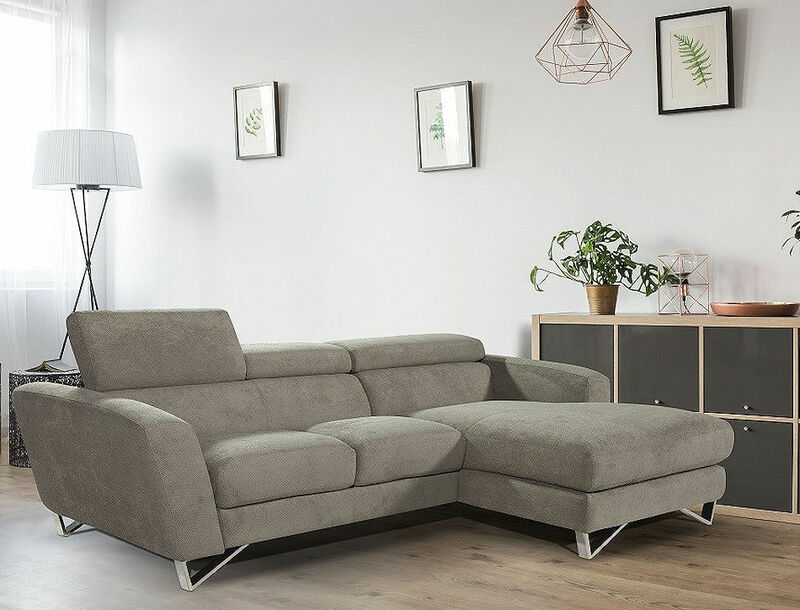 Sparta sectional is available w/ left facing chaise as shown or right facing chaise. Made in Italy. $ 2,595 - Sparta sectional in fabric. Crafted in durable quality fabric in Tortora color. Stainless steel legs. Adjustable headrest. 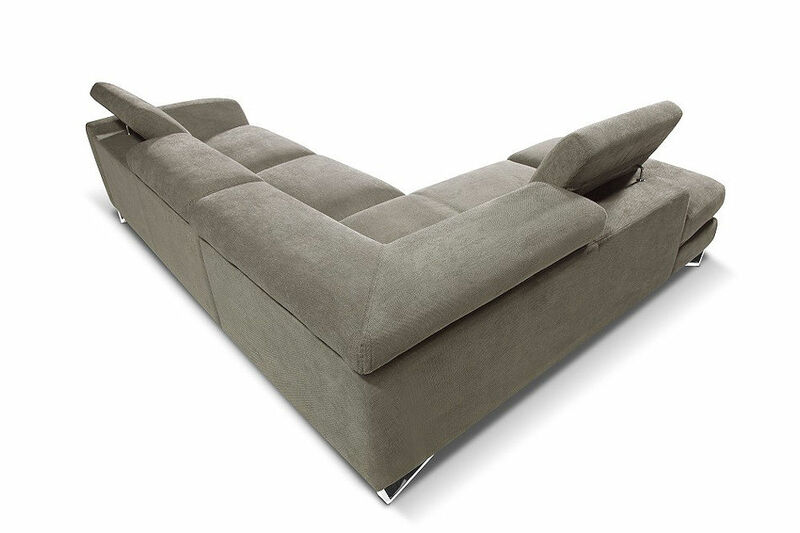 Sparta sectional is available w/ right facing chaise as shown or left facing chaise. Made in Italy.